A: Yes! 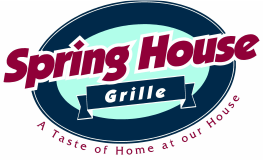 We only deliver to local businesses and the Graystone in Roaring Spring. Q: Can I apply online for a job? A: You can! click the button named "apply" to put in an application. A: We are open from 7AM to 9PM everyday. A: Yes. Please contact us at (814-224-5309) to book a date. Q: Do you have room to accommodate large parties? A: Yes. We have a back room / closed curtain area for parties, meetings, or large gatherings. If your questioned was not answered, please contact us at (814)-224-5309 or email us below!